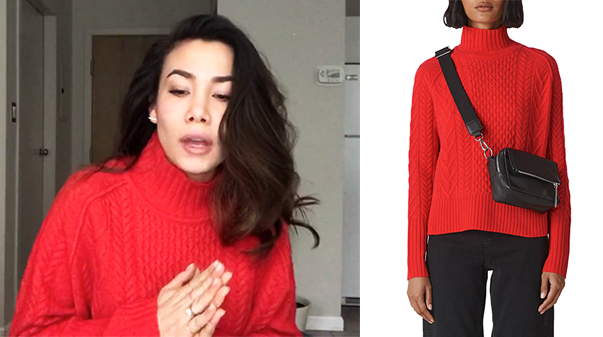 My Whistles funnel neck cable knit sweater sells (super on sale!) HERE. My Baublebar “Elle” crystal stud earrings sell HERE. I sized WAY up in this sweater. I’m usually an XS/S but went for a L in this as I wanted it to have an oversized, relaxed feel. (The smaller sizes just felt too fitted for the style, especially in the arms.) I would go up at least one size in this.